© Martial Trezzini/EPA, via Shutterstock John R. Bolton, the Trump administration’s national security adviser, speaking at a press conference in Geneva last month. President Trump’s national security adviser, John R. Bolton, fleshed out his boss’s “America First” foreign policy on Monday, disparaging an international organization vilified by conservatives and reaffirming a pro-Israel tilt in the Middle East. But on one of Mr. Trump’s signature projects, nuclear diplomacy with North Korea, he parted company. 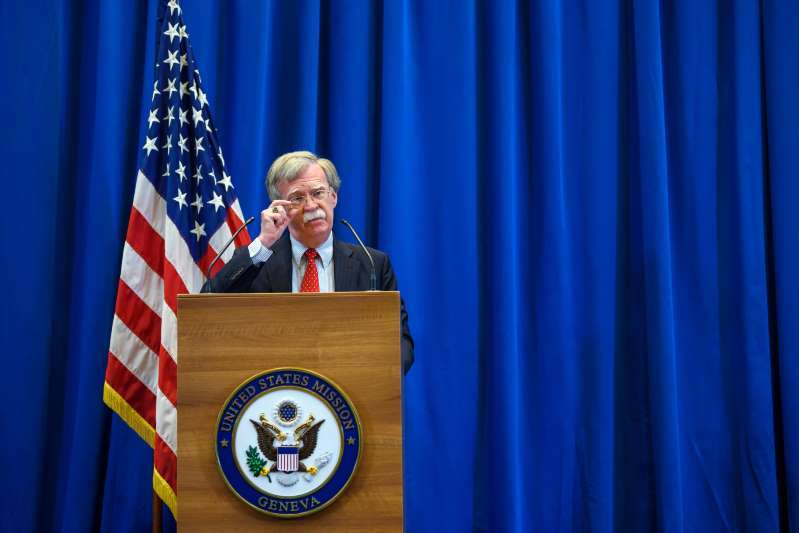 Mr. Bolton’s remarks came after a speech to the Federalist Society — his first major public appearance since taking his job in April — in which he threatened the International Criminal Court with sanctions if it investigated American troops in Afghanistan. He also announced that the United States would shut down the Palestine Liberation Organization’s office in Washington, reinforcing how far the White House has moved from the role of a broker in the region. His announcement that the United States would close the Palestine Liberation Organization’s office in Washington deepens the rift between the Trump administration and the Palestinians, which opened up after Mr. Trump announced he would recognize Jerusalem as the capital of Israel.